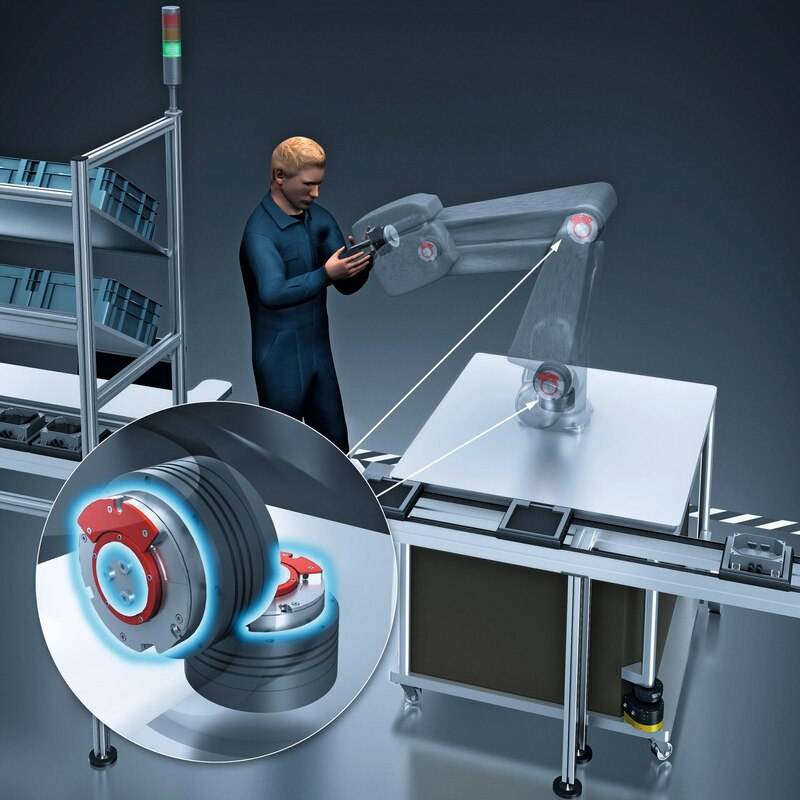 With the introduction of its SES and SEM absolute encoders, SICK has delivered a motor feedback system with the standard HIPERFACE® interface that takes precision and reliability to the next level for hollow shaft motors and direct drives. 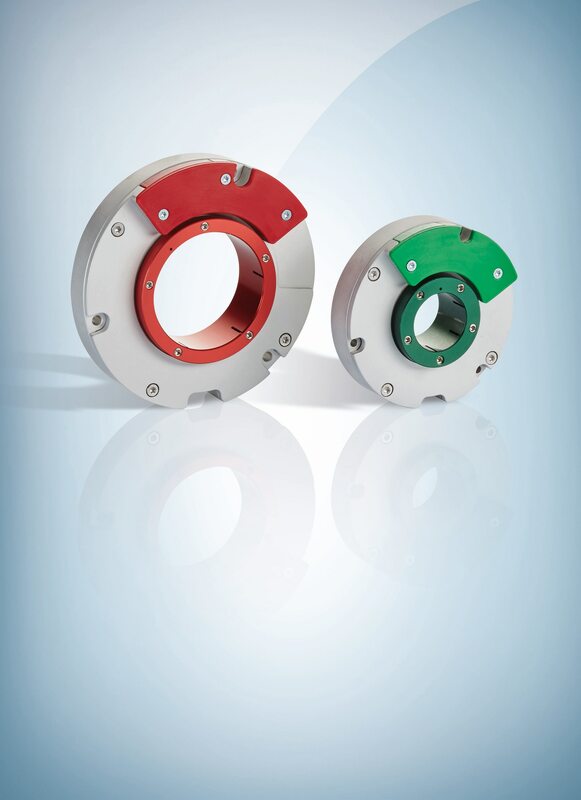 The compact SICK SES70/90 singleturn and SEM70/90 multiturn encoders can be mounted directly on a hollow drive shaft without the need for additional mounting tools, enabling rapid installation and making transmission components, such as timing belts or couplings, unnecessary. Available in 25mm, SES/SEM70 and 50mm, SES/SEM90 hollow shaft diameters, their low installation depth helps machine builders to save space and weight across a diverse range of direct drive applications such as robotics, extrusion and moulding machines and revolving transfer machines in semiconductor manufacture. 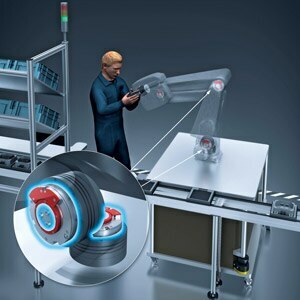 Using capacitive sensing technology, all of the information necessary for the operation of a motor including commutation, speed and absolute position measurement even over a number of rotations, is provided. The robust technology enables use in geared or ungeared drives working at very low speeds up to high maximum speeds – 6,000 rpm for the SES/M90 and 8,500 rpm for the SES/M70 – and it is immune to interference from electromagnetic fields or humidity. Multiturn variants feature an innovative new mechanical design that can capture up to 4,096 revolutions without the need to use the external buffer batteries normally required for encoders with large hollow shafts, avoiding the consequent risks of data loss and maintenance downtime. “SICK has responded to the increasing preference for compact and rugged direct drive motors, with the development of the SES/SEM motor feedback encoders to provide the necessary precision and reliability,” explains Darren Pratt SICK UK’s National Product Manager for Encoders.